For Plumbing Installation in Mills River, Hendersonville, and Asheville, NC, Call Us! In our homes and businesses, there are a lot of plumbing systems that we use every single day. We use our toilets, sinks, water heaters, and other appliances every single day in order to receive fresh, clean water for different uses. Whether its to take a shower or to wash dishes, we need access to water; all of our plumbing systems are able to achieve this with a turn of a knob or a click of a button. Because they are so critical to our day to day lives, when a plumbing system is on the fritz, you want to be able to have it replaced as soon as possible. If you think that you need a new water heater, faucet, or another type of plumbing device, please call the professional plumbers at All About Plumbing & Septic. All About Plumbing & Septic is a plumbing company that is able to offer expert plumbing installation in Mills River, Hendersonville, and Asheville, NC. To get help from our licensed and trained plumbing contractors, all you have to do is call our office at 828-778-2425. We will set up an appointment time that is convenient for you. When we show up for your appointment time, first we will inspect your plumbing system to see if it just needs repairs or needs to be replaced. If the whole system needs to be replaced, we will provide you with high-quality and effective plumbing installation service. We work with a wide range of plumbing brands, so we are more than likely able to install the type of system that you want for your home or business. We look forward to helping you by providing you with exceptional plumbing service. We want to make sure that your home or business has everything it needs plumbing wise, which is why we offer an extensive list of plumbing systems that our plumbers are able to install. With these types of systems, devices, fixtures, and pipes, it is so important that you call a professional for installation service. These are complex systems that require the experience and training from highly skilled plumbing contractors to ensure that plumbing installations are done correctly the first time. To make sure that your plumbing installation in Mills River, Hendersonville, and Asheville, NC is done correctly, call the plumbers at All About Plumbing & Septic for help. When you work with us, you can feel at ease knowing that we know how to effectively and properly install all plumbing fixtures, pipes, systems, and devices. Below are some of the plumbing systems that we can install in your home or business. 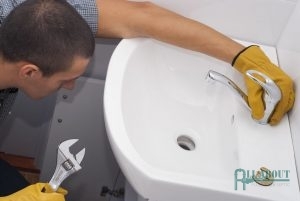 We Are Able To Install a Variety of Plumbing Devices. Faucets: If the faucet in your bathroom or kitchen is always dripping, they are older, or you are just wanting to update the faucet, our team of plumbers is here to help you! We can install any type of faucet that you need in your bathroom, kitchen, as well as any outdoor faucets. Garbage Disposal: Garbage disposals are a pretty crucial device in our kitchens, so if they are starting to smell really bad, even when they have been cleaned, or they just won’t turn on, it might be time for new garbage disposal. Our plumbers can help you find the best garbage disposal and install it easily. Plumbing Lines: Whether you need a sewer line, gas line, or some other type of plumbing line installed for your home or business, you can count on us to provide you with excellent plumbing installation. Septic Tanks: Septic tanks are incredibly important plumbing systems when your plumbing is run by a septic system. To ensure that your home or business doesn’t become contaminated by sewage, call us to install a new septic tank now. Sewage Pumps: If you are needing a new sewage pump installed because yours is no longer working, you can call our plumbers for high-quality sewage pump installation service. Water Heaters: At All About Plumbing & Septic we are able to not only provide water heater repair service, but we can also install water heaters, as well. If you need an electric, gas, or tankless water heater installed in your home or business, we are more than happy to help you by providing you with professional plumbing installation. Water Softener: Do you have hard water in your home or business and you are wanting to remedy this issue. Our plumbers can help by installing a water softener that eliminates hard water and leaves you with water that won’t damage your skin, hair, clothes, or other things in your home or business. Well Water Pump: A pump for your well water is important in order to get fresh water. If the pump is no longer working properly, you can contact us to install a new well water pump right away. If you are unsure if we are able to provide plumbing installation in Mills River, Hendersonville, and Asheville, NC for a specific plumbing system, please call us at 828-778-2425! One of our plumbers will let you know if we are able to help you out! Call Your Local Plumbers Today! We want you to be able to enjoy your plumbing, so if you want to update to a newer water heater or your water softener is old and needs to be replaced, you can rely on the experts at All About Plumbing & Septic for excellent plumbing installation in Mills River, Hendersonville, and Asheville, NC. No matter what type of plumbing device, system, pipes, or appliance that you need installed, there really isn’t much that we can’t install. Give us a call at 828-778-2425 to schedule your appointment today or to find out if we are able to install a specific plumbing system in your home or business. Updated on January 22, 2019 at 12:16 pm by All About Plumbing.